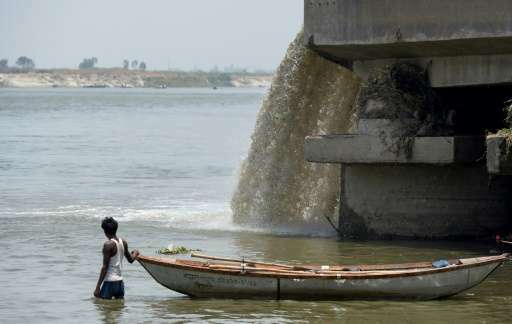 Dramatic improvements are needed in ensuring access to clean water and sanitation worldwide, the World Health Organization said Thursday, warning that nearly two billion people currently use faecal-contaminated water. Hundreds of thousands of people die each year because they are forced to drink contaminated water, the WHO said, urging large investments to help provide universal access to safe drinking water. "Today, almost two billion people use a source of drinking-water contaminated with faeces, putting them at risk of contracting cholera, dysentery, typhoid and polio," Maria Neira, who head's WHO's public health department, said in a statement. "Contaminated drinking-water is estimated to cause more than 500,000 diarrhoeal deaths each year and is a major factor in several neglected tropical diseases, including intestinal worms, schistosomiasis and trachoma," she added. In 2015, the UN General Assembly adopted Sustainable Development Goals (SDGs)—a series of aspirational targets for eradicating poverty and boosting human wellbeing, including vowing to ensure universal access to safe and affordable water and sanitation by 2030. 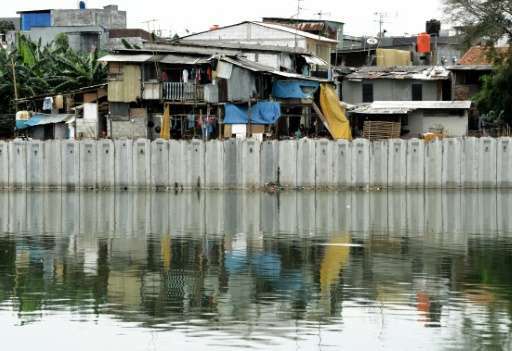 But according to a fresh report Thursday, published by WHO on behalf of UN-Water, countries will fall far short of this goal if they do not radically increase their investments. The report welcomed the fact that countries had on average raised their annual budgets for water, sanitation and hygiene by 4.9 percent over the past three years. But 80 percent of countries acknowledge that their financing is still not enough to meet their nationally-set targets for increasing access to safe water and sanitation, it found. "In many developing countries, current national coverage targets are based on achieving access to basic infrastructure, which may not always provide continuously safe and reliable services," WHO warned in a statement. The World Bank has meanwhile estimated that investments in infrastructure will need to triple to $114 billion per year—not including operating and maintenance costs—in order to meet the SDG targets. "This is a challenge we have the ability to solve," said Guy Ryder, Chair of UN-Water and head of the International Labour Organization. "Increased investments in water and sanitation can yield substantial benefits for human health and development, generate employment and make sure that we leave no one behind," he added.